If it isn’t broke, don’t fix it. Jeep embodies that more than any other manufacturer, because the Wagoneer barely changed at all for its entire production run. This big Jeep is basically the progenitor of the current daily driver SUV mega trend, and they’re the perfect mixture of terrible and awesome. In this One Take, Zack Klapman gets to experience the dinosaur nature of Jeep’s original big boy. It’s effectively a farming implement that was converted by the factory into a family truckster with plush seating and decent appointments inside. Unfortunately, it still drives like a tractor with just awful MPGs, vague steering, slow brakes, and even slower propulsion. If the Grand Wagoneer didn’t look as good as it does, it might never have lasted so long. Aesthetics can carry a car a long way. 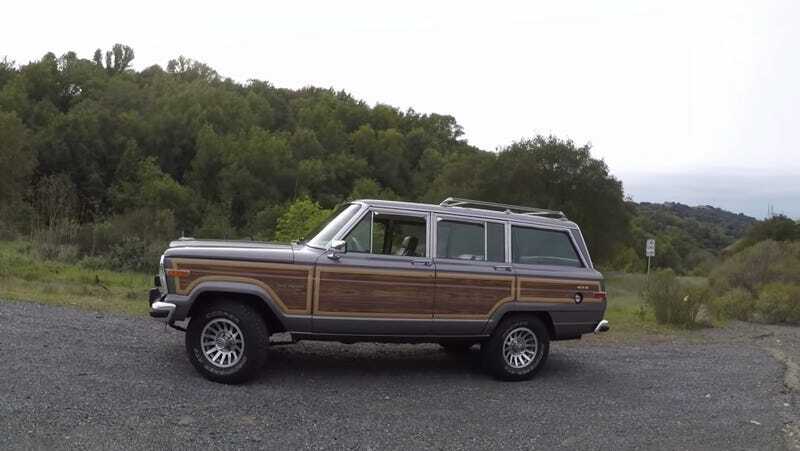 At $4,700, Is This &apos;Frame Up&apos; Restoration 1989 Jeep Grand Wagoneer a Letdown?